Whatsapp is one of the most popular instant messaging apps right now. With its various interesting features and tools, it has become very useful for sending and receiving messages, photos, videos, GIFs, audios, and lot more. But there are some other Secret Whatsapp Tricks available like the app Geometry dash which can mix up more fun to it. Want to know them? You might be using since a long time, but there are some unrevealed tricks that may amaze you. Today, in this post we will show you Top 10 Secret Whatsapp Tricks including typing, font, emoticons, picture, hidden chat, hacks, etc. used and verified by our team. You can use them too for sharing thoughts in a unique way. All you need to do is to keep reading the article till the end and you will get to know about all the tricks. Tricks are nothing but the unknown features inbuilt in WhatsApp. Generally all users do not know about them, even Whatsapp itself never mentioned the features to its users. We are just sharing the Top 10 interesting features which you will like for sure. Do you know? Only your saved contact list can watch your Profile Picture, not others. This Feature is very useful for your security. And you can do this by clicking on the three dots above the screen of the Whatsapp interface. Click on it, and then go to settings. There you will get few options including “Account”, click on it. Now choose the “Privacy” option. After clicking on it, a pop-up window will appear with 3 options including “My Contacts”. Click to choose the option and done. Now only your contacts can watch your Profile Pictures. Nowadays, all use to share important messages through Whatsapp as well as photos, videos, audios, and others. And many times we need to search for the important messages from the inbox. But how can you find out that particular message from last 3 months chat history? Don’t worry, just click on the three dots, and select the “Search” option. Now search for the words that belong to that particular message. And then scroll. you will get results with the searched words or sentences. Users can mark the important messages too which they think important like contact numbers, email addresses, or others and in future whenever you need the messages just click and get the important messages back. For this, keep pressed the message(s) pressed for 2-3 seconds; you will get a few options above the screen. From there, click the Star sign and your message is marked save. Later whenever you want to read the marked messages, just open Whatsapp, keep the contact pressed for 2-3 seconds, it will give you options including Starred messages. Click on it and get all the marked messages back. Now message all your contacts or wish them on special occasions in one click by using the Broadcast message option. Just click on the three dots and select the option and wish all your friends at once. Now like MS Word you can add Bold, Italic and Strikethrough to your text and send a message to your friends. How? Look below. For Bold texts, add asterisks ( * ) on both sides of the text or sentence without any space. For example, “Welcome to our *Website*.” I have put asterisks on both sides of “Website” to make it bold. For Italics, add underscores ( ­_ ) on both sides of the text or sentence. For Example: “Welcome to our _Website_” or “_Welcome to Our Website_”. For Strikethrough, add tildes ( ~ ) on both sides of the text or sentence. For Example: Welcome to our ~Website~. Follow more: How to start a blog with WordPress. Whatsapp users often feel the need of some picture and others, but unable to send them. Now there is a solution for you. Use the Search Web option and search for what you want and share with friends on the go. No need to close Whatsapp and open browser for searching. Now you can read the message without letting know the senders. Yes now if you want to follow the trick the sender won’t get the three ticks. You may say about the disabling “Read Receipts” option (Settings>Accounts>Privacy>Read Receipts). But there is another way available to do this, without disabling the read receipt option. It is easier than reading Receipts option. Just Turn On the flight mode of your phone, now go to WhatsApp and read the message. After reading close the message and Turn Off the flight mode. The sender won’t get the three ticks. The method is not actually hacking, it can be called using WhatsApp trick. After doing this, you can get notified for all the chat conversation of your friends with his/her contacts. How? Here we go. Ask for the phone of your friend for a while, now uninstall your Whatsapp and again install it. Now during verification, put the WhatsApp number of your friend, get the OTP sent to his/ her phone, and verify. That’s it. Now you will get messages of your friend on your phone too. Recovering Whatsapp messages is also possible. You can do this in two different ways, by backing up all the chat history to your Google Drive or by connecting your phone to PC. But the using the PC you can get to recover chat history of last 7 days only. Here is the process. Connect your phone with the PC. Now, open the storage and go to that named folders Whatsapp/Databases. Open the “msgstore-yyyy..dd..db.crypt” file with notepad or wordpad installed in your PC. Here you will get all of the messages, photos, videos, and everything of last seven days. 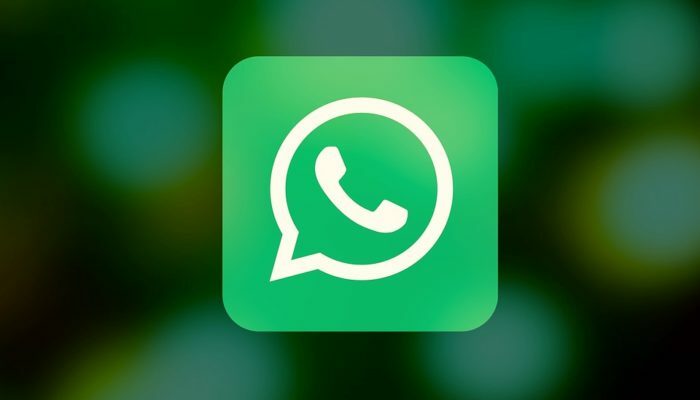 These are the top 10 secret WhatsApp tricks those are unknown to many users. All these cool tricks are very interesting and lesser known. As Whatsapp itself never published these trick, many people don’t know about these. You can use these tricks for your Whatsapp messenger; also can share with your friends to surprise them. So this is it, hope you like these new WhatsApp features and tricks. Try these now and discover a new WhatsApp.